Sprouts are by far more nutrient dense than their mature plant versions. This is because a seed is not just a baby plant, it is also a tiny package of nutrients and enzymes ready to spring into action at germination. While types of sprouts vary, generally, studies show sprouting increases the quality and/or quantity of enzymes, digestible protein and starch, B-vitamins, and amino acids. 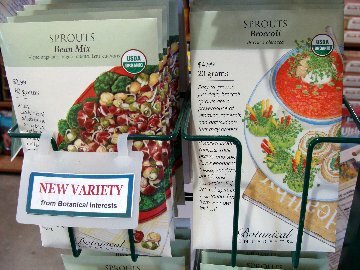 But best of all, you can grow sprouts any time, even in the dead of winter, and most sprouts are ready to eat in 2–7 days! The Botanical Interests unique, easy-to-use sprouter lets you grow up to four varieties at once. Removable dividers keep varieties separated or allow you to grow more of one variety. 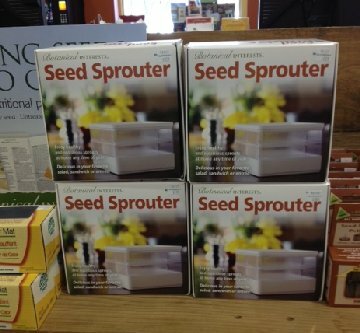 The two trays allow you to sow new sprouting seeds every few days for a continuous supply. 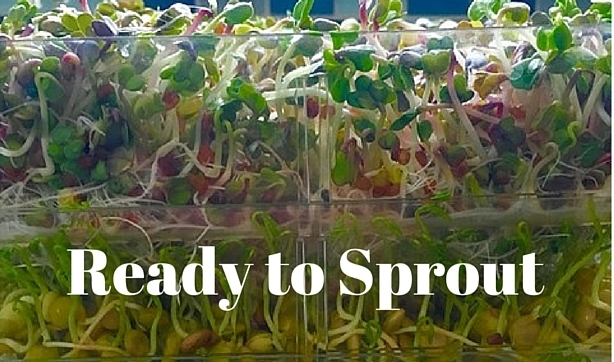 Trays are designed to hold optimal moisture for sprouting, while draining excess water. Bottom tray collects drained water and the entire unit works great for refrigerator storage. Made in the USA. Come visit us and check out the great selection of Botanical Interests sprout seeds we have for you in our Garden Center.